Unlocking fighters is getting a little easier with the new Super Smash Bros. Ultimate patch, while Nintendo also focuses on adjusting a handful of fighters and making the online experience a little better. Super Smash Bros. Ultimate has been out in stores less than a week, but it's already receiving its first major patch. (Not counting the big Day One patch that it received upon release, activating the game's online component.) Version 1.2.0 is out now, offering a slew of adjustments to a handful of the game's 70+ fighters, while also offering some major changes to the game as a whole. The biggest change is set to affect those who haven't even picked up the game yet. The game only features eight starting characters, with the rest of the roster needing to be unlocked. The difficulty for unlockable fighters tends to spike, with some characters proving a little too aggressive. In an effort to curb this, "Challengers Approach" battles are having their difficulty dialed back. Online play is also getting a boost, with Battle Arena stability getting a particular kick in the pants. Preferred Rules settings are also getting more priority, albeit at the expense of speed. If you're looking for specifics on which characters have been balanced, then you must be new around here. 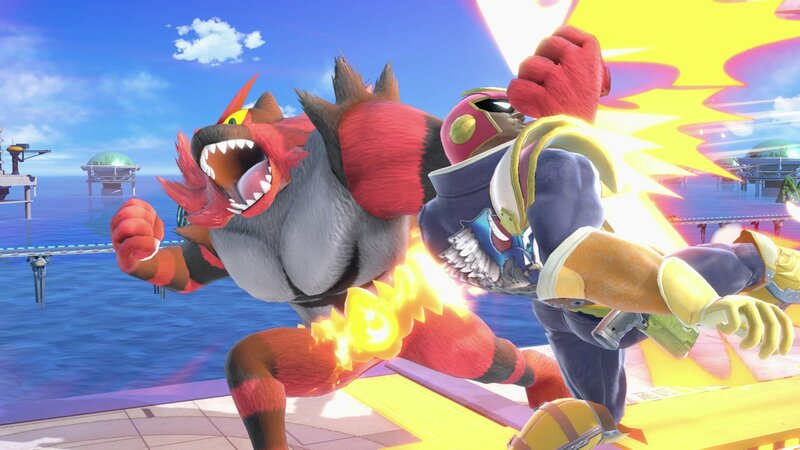 To the very end of Super Smash Bros. for Wii U, Nintendo never issued specific balance notes and that doesn't look like it's about to change with Ultimate. However, Nintendo has taken a slight step forward by revealing which characters are getting balanced. Those characters are Donkey Kong, Link, Kirby, Luigi, Ice Climbers, Young Link, Olimar, Toon Link, Villager, Greninja, Pac-Man, Duck Hunt, and Isabelle. Traditionally, Shacknews has left the specifics of character balance tweaks up to the dedicated users of Smashboards and this will be no different. Shacknews will endeavor to keep this post updated with their findings, so stay tuned. Visual glitch with Greninja's KO fixed. Invulnerability frames added to the end of Final Smash, if it connects. After copying Pac-Man's Bonus Fruit, Key no longer gets recycled when discarded. Luigi's up-taunt now finishes with a different expression. Pikmin Freeze/Corrin Pin glitch fixed. Key no longer gets recycled when discarded. The full patch notes can be found in-game before hitting the main menu by selecting "Details" on the news notification. For more on Super Smash Bros. Ultimate, be sure to follow our recent guides and character profiles.